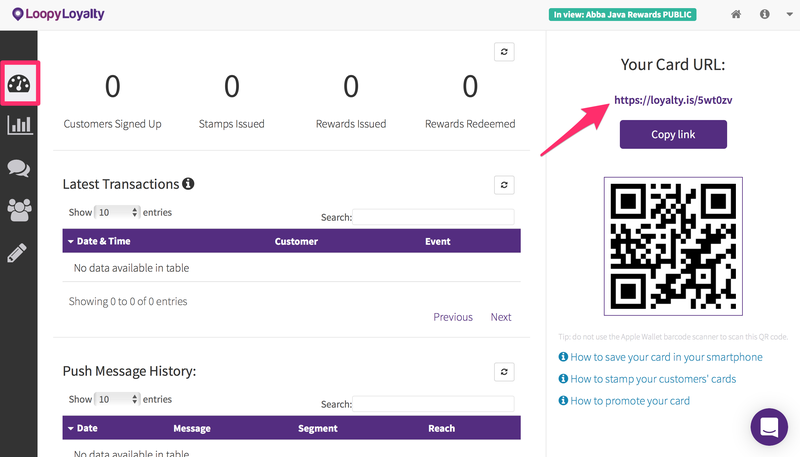 1 - Go to your dashboard and click on your loyalty card URL. 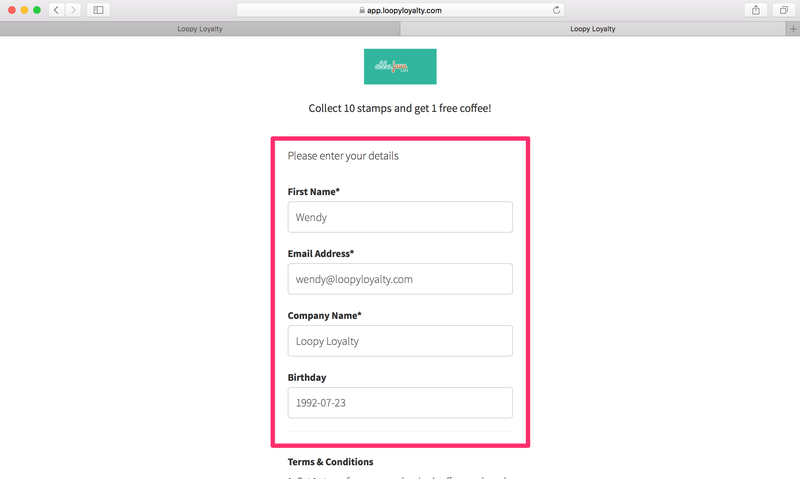 2 - Fill in your customers' details and click on 'Join Now' at the bottom of the page. 3 - Go to the your 'Customers' page. 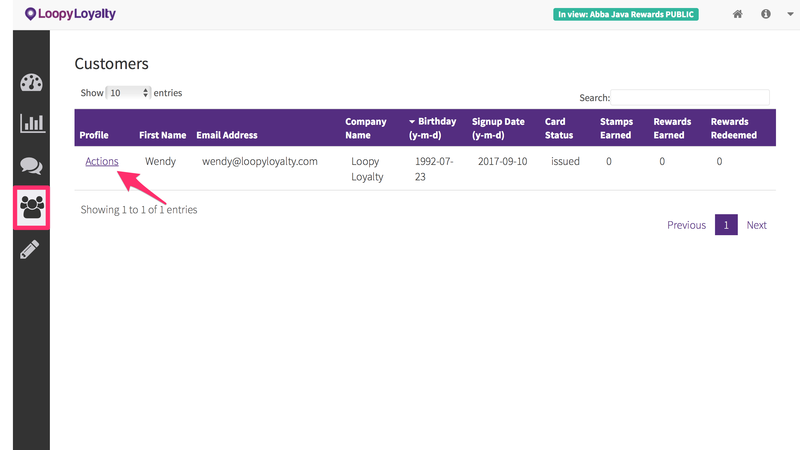 Find the customer you want to send their card to and click 'Actions'. 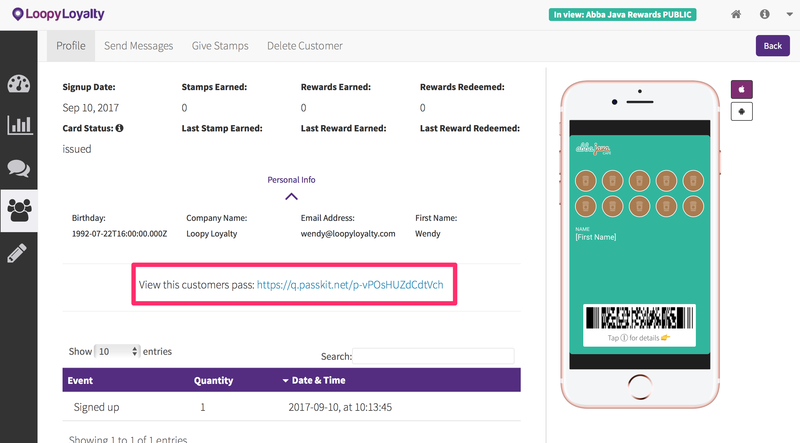 4 - Copy the URL and send it to your customer (e.g. via email, WhatsApp, Messenger, SMS, etc.). This URL is unique to each customer. You can see whether they have installed their card by looking at the 'Card Status'. Learn more about 'Card Status' here.